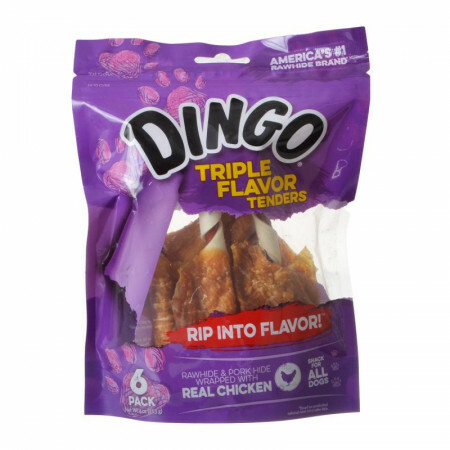 Dingo Triple Flavor Tenders Dog Treats are crafted with natural rawhide and pork hide, wrapped in real chicken to provide an authentic meat flavor that drives dogs wild. These gourmet dog chews help remove buildup and promote better dental hygiene while satisfying your dog's urge to chew. Feeding Guide: Feed one chew per day. Always supervise chewing and provide plenty of fresh, clean water.